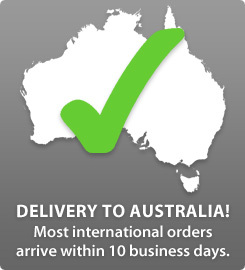 I have found when ordering e cigs directly from the USA to Australia that the shipment arrives in about 10 business days. That is pretty good. And if you want to speed it up you have a number of options to upgrade the postage category. I usually get a months worth at a time and so I am fine to upgrade from the free delivery options and pay about $20 to get them a bit faster. The package isn’t so big so it fits in my mailbox if I leave it unlocked so the delivery guy can just leave it inside. basically, what is says is you cannot import e cigarettes to RESELL them in Australia. You therefore just have to buy about three months worth and you are ok. Personal usage. Also, you want to keep your order under $1,000 so you don’t pay customs duty. So there you go. You can buy online overseas (the USA I would suggest) and do it perfectly legally. If E-Cigarettes are detected at the border appearing to make a therapeutic claim, the goods may be referred to the Therapeutic Goods Administration (TGA). The TGA will advise whether further action is warranted, whether any claims made are classed as therapeutic, and whether seizure is appropriate under their Act. If no therapeutic claim is made, or the TGA determines that no action is warranted, the goods are released, as they are not controlled on importation. I am an affiliate of some of the electronic cigarette companies that we recommend on this site. If you proceed to purchase any of the e cig products you see on our site through any of our links and because of our recommendation, whether it be expressed or implied, we may receive a commission.